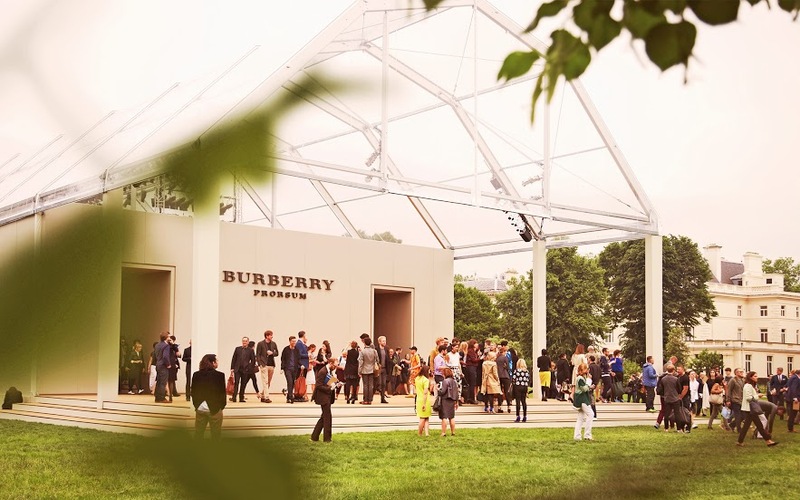 It was wonderful to see Burberry Prorsum in London, really where one would like to see this iconic British brand showing their Spring Summer 2014 collection. 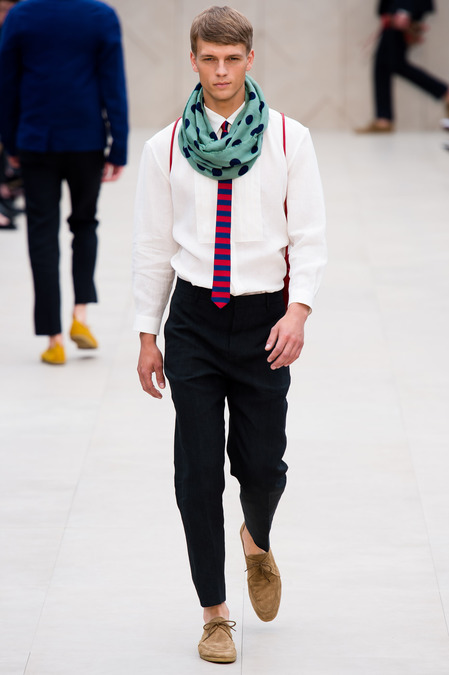 Showing at Kensington Gardens for London Collections: Men, the range called Writers & Painters was inspired by English writer Alan Bennett and artist David Hockney. 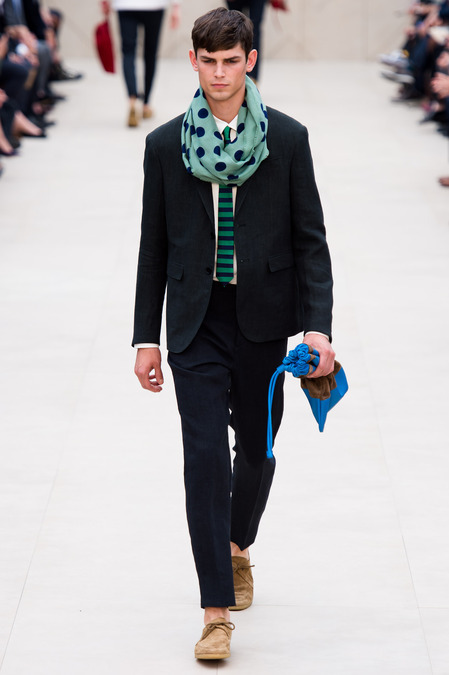 Burberry Prorsum delivers us relaxed tailoring and knitwear with a feeling of ease. 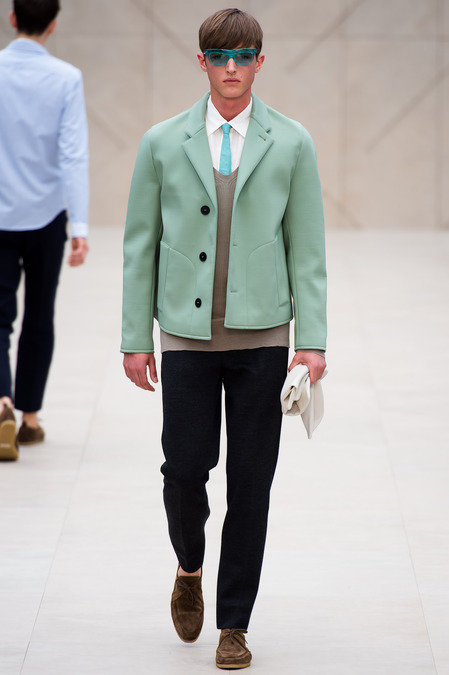 We were shown a broad range of colour using a very soft palette mixed in with vibrant, bold colour. 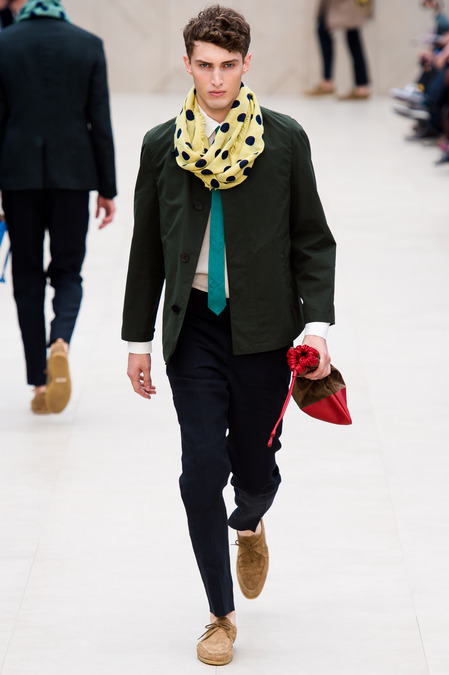 My favourite, being a complete lover of scarves, is the polka dot scarf on offer. 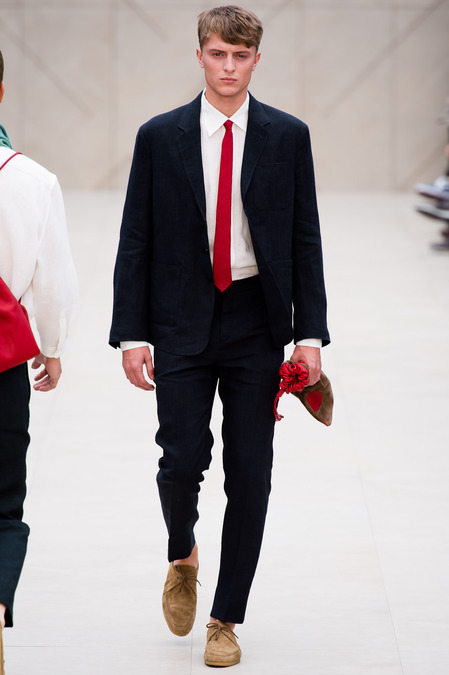 Shown with the stripe skinny tie, it works wonders, helping the softer colours feel more masculine. 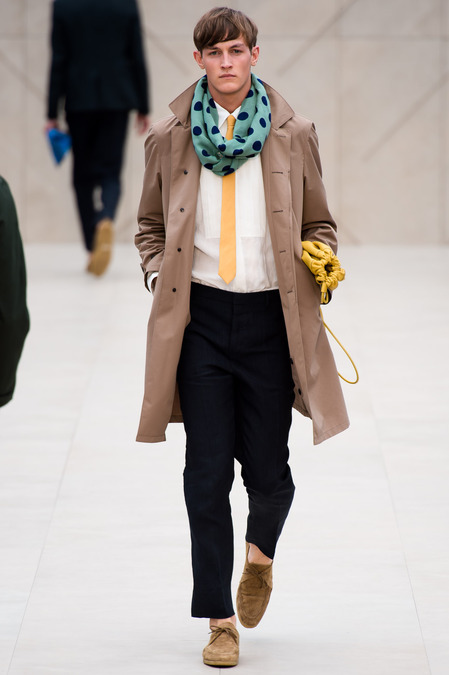 It reminds me of a comic book scene overall, a mix of the tailoring, pop colours and of course those polka dots and stripes add to this feel. 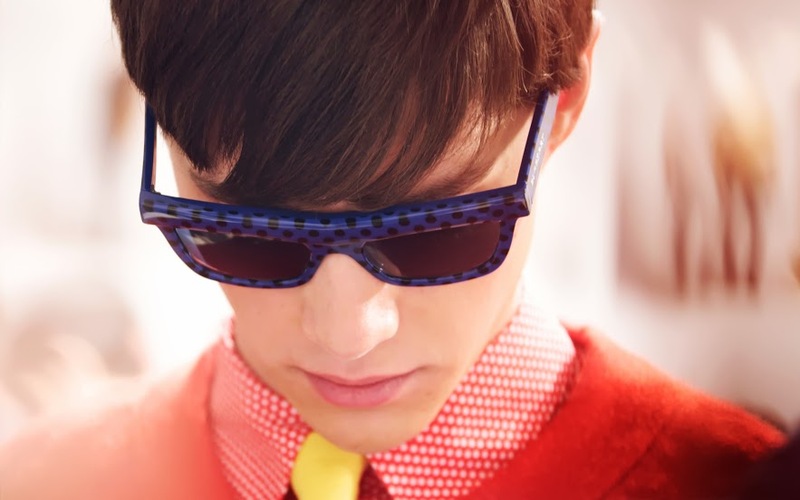 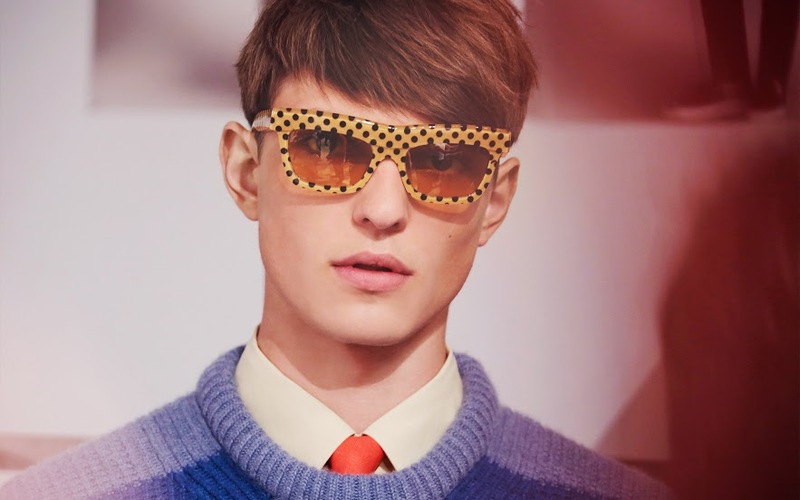 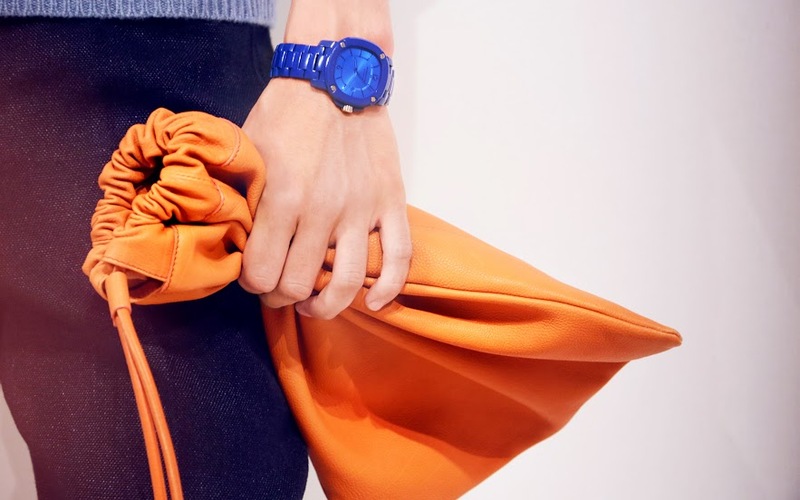 Bold colour is seen in all the accessories including the Britain Bright Watch in Indigo and the Wave Dot sunglasses that are reminiscent of a Roy Lichtenstein artwork. 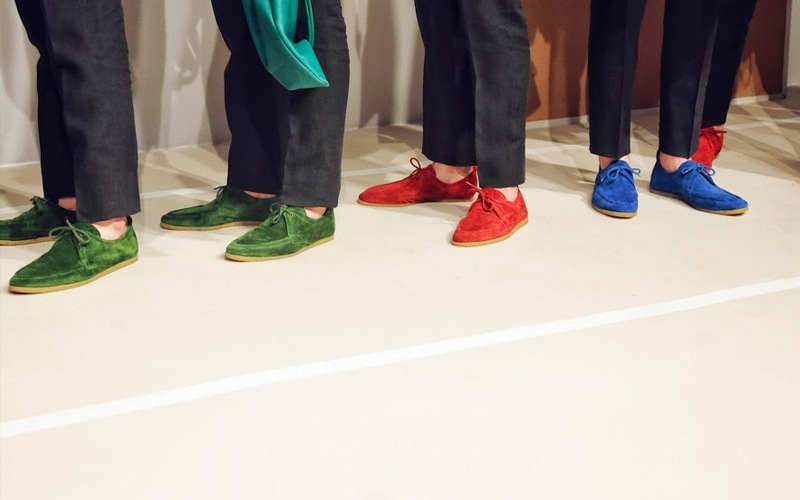 Vibrant hues were seen on suede crepe-soled shoes which complimented the look to perfection alongside the various colours of the Duffle Pouch. 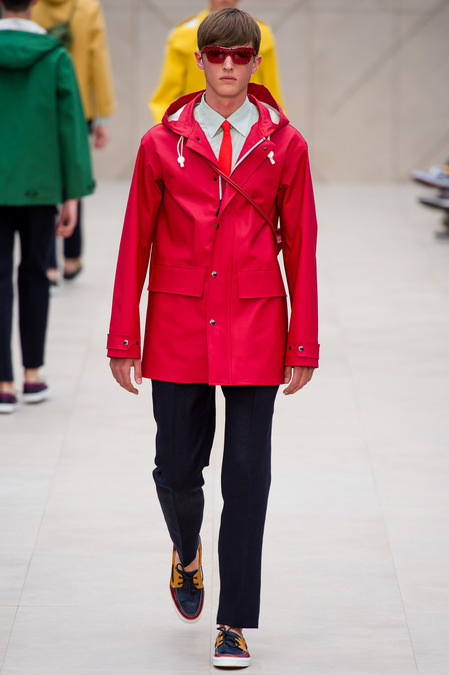 I must say, this collection from Burberry Prorsum really appeals to me on so many levels and I can see not just the silhouettes but the overall colour palette is going to influence main stream menswear in a big way.